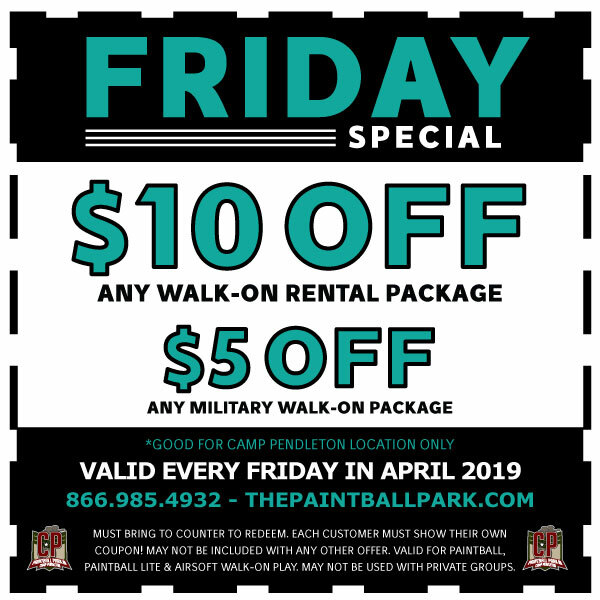 The Paintball Park at Camp Pendleton – Paintball, Airsoft, Paintall Lite, Playland and more! 400 FPS of Adrenaline Pumping Action! The Paintball Park at Camp Pendleton is southern California’s hot spot for Paintball, Paintball Lite, & Airsoft games! We are open for walk on play Friday, Saturday, and Sunday from 8:30am – 5:00pm. We also feature Paintball Night Games by reservation only. Have a big group? We are open seven days a week for private groups of 15+ players! Let us help you make your birthday party, corporate group, bachelor party, school function, sports team outing, church activity, or military event unforgettable! Click here to make a reservation. Don’t Worry, it’s Easy! We can help! Ready to Play? 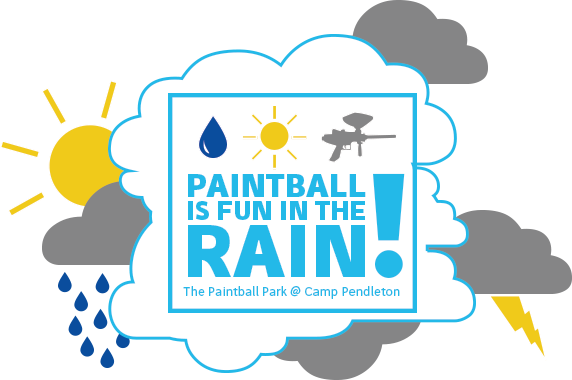 Create memories that last a lifetime at The Paintball Park at Camp Pendleton! Bring your friends, your family, co-workers, platoon or just come by yourself for a guaranteed fun-filled day of adrenaline pumping action! The Paintball Park at Camp Pendleton has eight recreational fields and a four-field tournament park spread across 30+ acres. Grab your friends, book a party and get ready to have a blast! We are so much more than just a paintball park! Enjoy Airsoft games and Paintball Lite. Believe it or not, paintball is one of the safest sports in the world with statistically less injuries than bowling! Paintball, Paintball Lite & Airsoft are all kid tested & mother approved.